Recent rains will help Engelmann daisy and some other wildflowers this season, but can’t make up for sparse rain last fall in Central Texas, according to a University of Texas at Austin expert at the Lady Bird Johnson Wildflower Center. The multi-year drought in the heart of Texas creates a cycle of fewer wildflowers that may make some roadside displays seem lean, Waitt explained. When rain is sparse in the fall, fewer wildflowers develop, producing fewer seeds to set the stage for the next season’s displays. “If you’re curious about seeing a bluebonnet develop from its juvenile into its adult stage, you’ll be able to click on the bluebonnet ‘cam’ link daily if you’d like,” Waitt said. 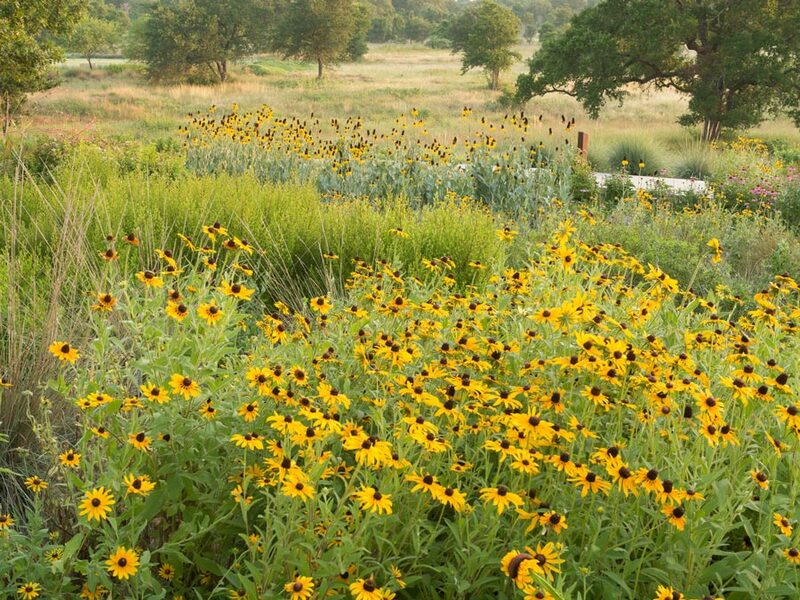 Texas roadsides and fields will feature colorful natives starting mid-spring that do fine in dry years, such as those in the sunflower family. These hardy wildflowers get a break from the minimal competition from other species and the fact that native grasses don’t grow as tall in dry years, helping perennials such as pink evening primrose and late bloomers stand out. Besides the primrose and Engelmann daisy, other hardy species to look for include Indian blanket, Mexican hat and black-eyed Susan. Travelers outside Central Texas will also have a chance to see some perennial favorites in areas with more rain. Early possibilities this season include Brazoria County to the east of Lake Jackson, where Indian paintbrush and windflower are blooming, and desert marigold seen in Presidio County. Hundreds of bluebonnets will also be added soon to the list of blooming plants in the gardens and meadows maintained at the Wildflower Center. The bluebonnet leaf rosettes are now hugging the ground, as shown on the bluebonnet cam, waiting for warmer weather in upcoming weeks to extend flower stems and blooms. Center staff will mark peaceful spots for taking bluebonnet photos. March visitors to the center will also see more than a dozen pieces from the Texas Society of Sculptors. Their members’ nature-themed sculptures will be present throughout the center’s 16 gardens beginning March 3. 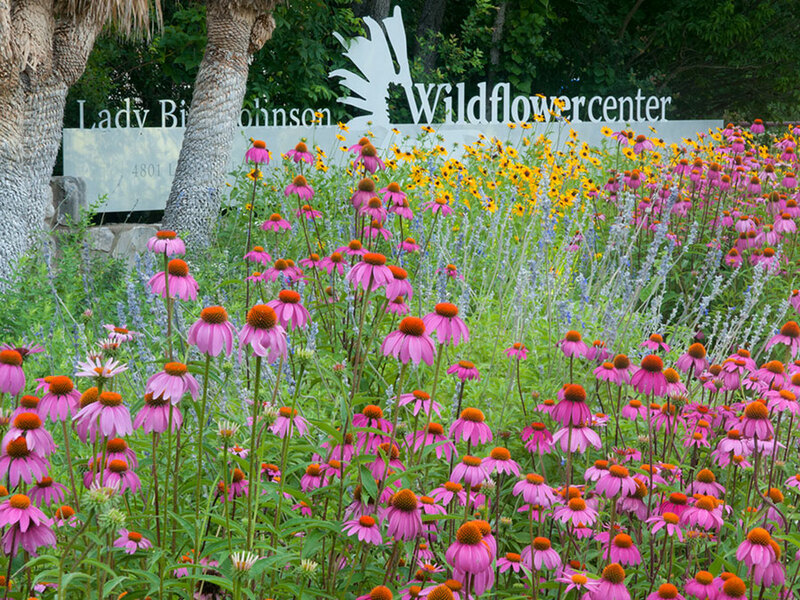 To learn more about wildflowers from Texas and other states, search the Wildflower Center’s Native Plant Database. Also see our National Suppliers Directory to locate distributors of native plants and seeds.